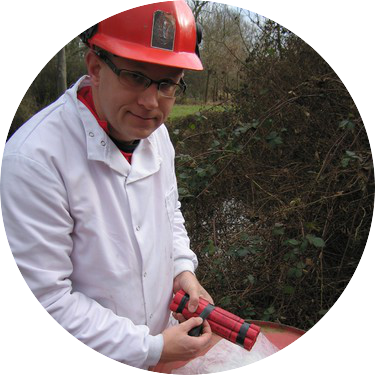 Live Action FX is run by Stephen Miller CEng MIExpE and provides Explosives Consultancy, Fireworks, Pyrotechnic and Physical Special Effects. Stephen also has experience as an expert witness. Live Action FX is based in Newbury, Berkshire. Stephen Miller has been listed in the directory of expert witnesses since 2001, as an expert in explosives use and misuse. Stephen has produced written reports for numerous court cases involving explosives and has appeared in court at an expert witness. 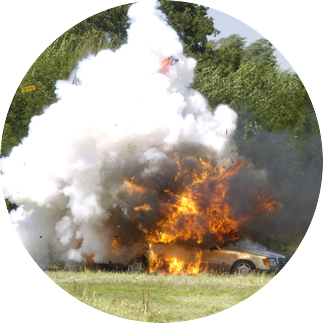 Live Action FX can provide explosive engineering solutions for both civil and military applications. Live Action FX has designed and planned the explosive cutting required to rapidly and accurately sink ex-navy ships to create artificial reefs. Live Action FX has utilised micro-blasting techniques to remove re-enforced concrete from within a listed 13th century manor house without damaging the rest of the structure or fabric of the building. 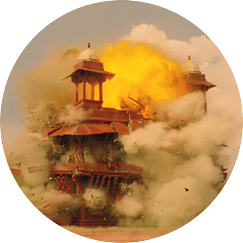 Live Action FX has planned and executed numerous pyrotechnic special effects sequences from Gangster Shootouts to Model Demolitions to Large Scale Battle Simulations. Live Action FX have provided physical special effects for numerous films, television programs and live events. 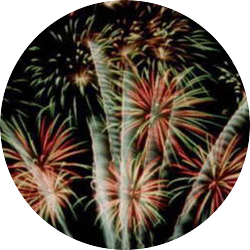 Although Live Action FX no longer provide commercial firework displays, Stephen Miller can use his extensive knowledge of firework and pyrotechnic effects to plan and execute spectacular firework sequences, in conjunction with commercial display providers. These sequences are often synchronised to music. 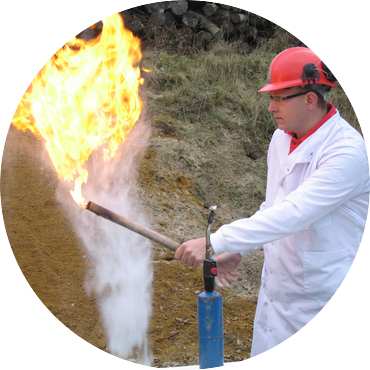 Live Action FX can provide demonstrations of explosives technology, materials and effects at our range in Kent (UK) or anywhere in the world for educations and entertainment purposes. Stephen Miller has conducted explosive demonstrations for numerous television programmes and documentaries, as well as during lectures and presentations about explosives. Stephen Miller is an accomplished public speaker and has conducted presentations, demonstrations, lectures and after dinner speeches on various subjects, the majority of which are explosive orientated. Live Action FX have a small collection of prop and blank firing firearms that can be provided for film and TV productions.